I’m still on a high from our Siargao trip! I’m sure you’ve seen on Instagram that I’ve been posting a lot about what we did and what we experienced while we were there. Unfortunately, I couldn’t surf this time around, but there were a lot of other activities that my family and I enjoyed which still made the trip worth it. I had to divide my blog posts about Siargao into two because I was so happy with our stay and with what we experienced! 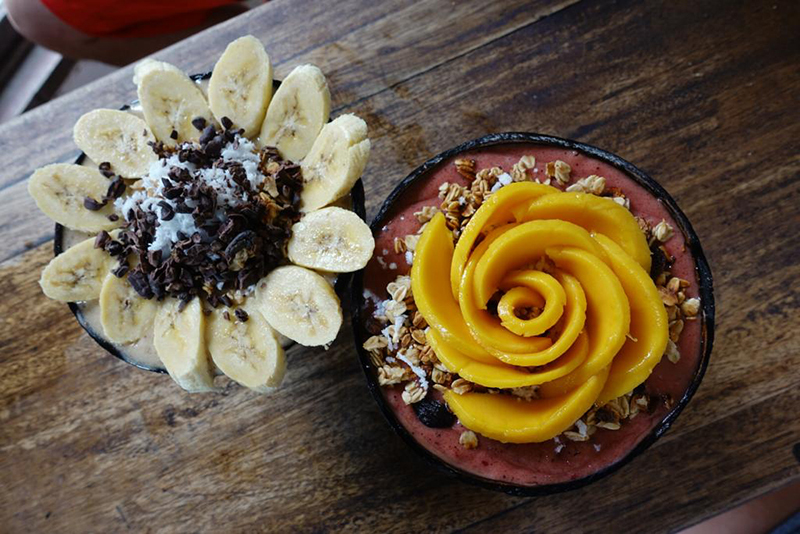 Besides the beautiful island life, Siargao also has a great food scene! There was always something delicious and fresh to try wherever we went, and I wanted to share some of my recommendations with you. We actually stayed at Bayud Siargao, a quiet boutique resort. Their beachfront place is well-appointed and had everything we needed as a young family on vacation. Besides offering us a wonderful stay that we enjoyed so much, they also made sure we were taken care of. Boodle fight in Siargao @bayudsiargao style ? They thoughtfully prepared a boodle feast for some of our meals, composed of some of the freshest seafood and perfectly grilled meat I have ever had! Zion particularly liked the one with his name spelled out in rice! Doesn’t that, paired with the steady sound of waves crashing on the shore, just spell a wonderful day? 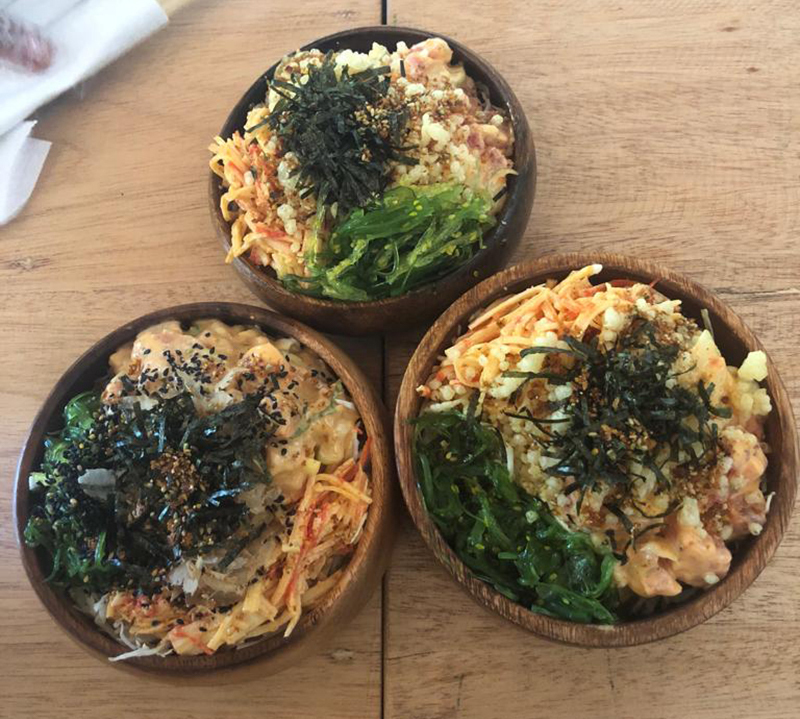 At Ono, we had some of the tastiest poke bowls we’ve ever had! Maybe it’s the idea of having it while on vacation on a beautiful island, or the fact that the ingredients used were so fresh. Either way, I really recommend you try this place for something healthy to chow down on. Try my favorite: the spicy salmon. That face of approval after having some good pizzas @kermitsiargao ? ? Many people probably know of Kermit Siargao’s resort. But, they have an Italian restaurant that serves some of the best pizza I’ve had. Their brick-oven pizzas come in a variety of flavors, from the classic margherita to the controversial Hawaiian. You can also choose toppings and make your own. Don’t miss this when you visit Siargao! Kermit is really known for their delicious pizza and pasta; it’s even said that it may be the best in the country! 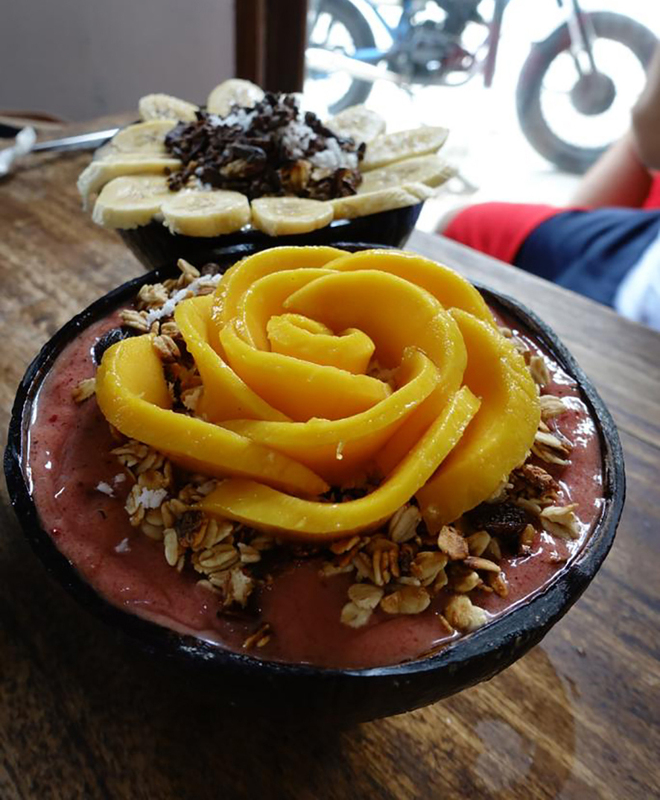 We couldn’t miss the experience of having these famous smoothie bowls for breakfast! Try ordering the Cloud 9 Kook or the Bom Dia. The Cloud 9 Kook is a bowl with banana, peanut butter, and cacao, while the Bom Dia is a variety of fruits in coconut milk. If you feel like drinking something to power you up, they have cold-pressed juices and specialty coffees as well. If you prefer a breakfast that is a little more savory, Greenhouse is a good bet. It’s still a place that makes sure their food is both delicious and healthy. The in-house restaurant at Harana Resort was also a great choice! I enjoyed their very yummy chicken tocino and specialty coffee. What made us stay was the great chill vibe during happy hour. The entire place is really easygoing and laid-back, which is perfect to stay at after a day on the water. What I loved so much about Siargao is their mission to promote a sustainable life hinged on wellness. Besides the fact that the food is a dream for anyone who loves to eat healthy, nourishing fare, Siargao has a culture of keeping their surroundings in tip-top shape, too. A lot of people there do their part in not throwing plastic. They use reusable straws, and instead of using plastic bottles, they have big refilling water gallons. Siargao’s main problem right now is waste management. People don’t have any proper dump site for trash. So in order to keep the island beautiful for more visitors, some resort and business owners sell items like t-shirts and beer, wherein the proceeds go to Siargao’s waste management efforts. It’s a wonderful story of community, and how people can come together with a noble goal in mind. I would hate to see Siargao be ravaged by irresponsible tourism practices, so seeing how the people on the island are solving this problem on their own gives me hope that more people can enjoy the island for years to come. When you go to Siargao, please bring your own reusable bottle and straws. Respect the land, and don’t throw trash just anywhere. Most of all, help spread awareness about their waste management problem so that they can come up with sustainable options. 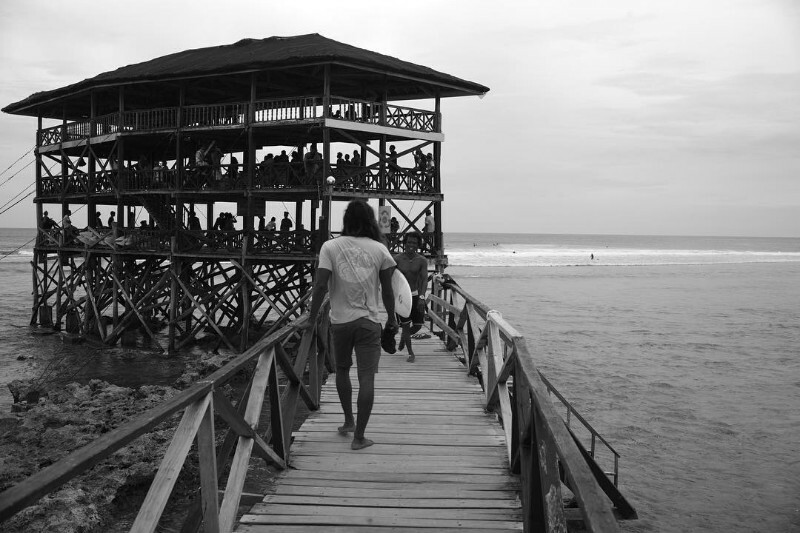 People come to Siargao for the surf but often keep coming back for the life they experience while there. Even in small ways, we can help make sure to keep this culture alive. Have you been to Siargao yet? I wanna hear about your experience! Leave me a comment below or let me know on my Instagram.